BODY and SOUL meets at 4:30 PM on Monday and Thursday, and on Saturday mornings at 9:30 AM in the Fellowship Hall. 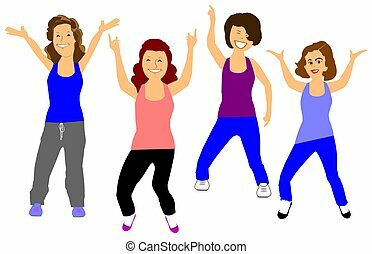 On Mondays and Thursdays we exercise for 30 minutes doing Latin dance (zumba-type) exercise, and will potentially work up to an hour. Honor your own individual needs; come and join us for the fun of it, but do what you can without pain. Participants are free to stop when they need, restart, and/or modify the moves to assist in participation of all, regardless of your abilities. Yoga is offered on Saturday Morning. If you have any questions, call the church office at 706-635-2555. Please invite any one who may be interested. All are welcome.